Hospital, Health care centre and clinic Accreditation Consultant.. Global Manager Group is a professional certification and consultancy service provider, offering NABH accreditation consultancy services in all major cities in India. We associated with Global Manager Group and added expertise in our services for NABH accreditation; provide complete guidance through implementation, documentation as well as training required for quick accreditation. 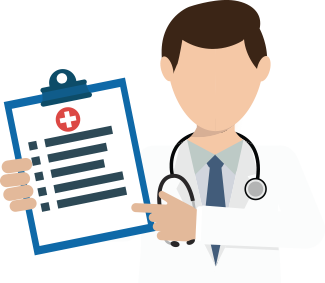 We have expert team having rich experience in the field of NABH accreditation certification consultancy for many hospitals in India. Many leading hospitals have been achieved NABH accreditation under GMG’s project management. Patient safety and quality of care, as core values, are established & owned by management and staff in all functions at all levels. The staff are satisfied lot as it provides for continuous learning. Contact Us for any ISO system & product certification in USA, Canada, UK, France, Belgium, Switzerland, Germany, UAE, Saudi Arabia, Qatar, Malaysia, Singapore, Asia, Hongkong, South Korea and South Africa. Desclaimer: We are providing sample documents and training kits for various system certification. We are not associated or part of ISO / NABH Body. We are not selling any ISO / NABH standards copyright materials.